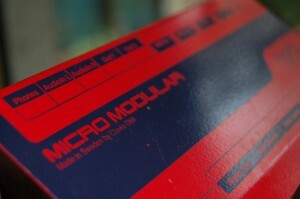 Basically the micromodular is a dsp programmable virtual modular synth with 24bit 96KHz audio conversion. 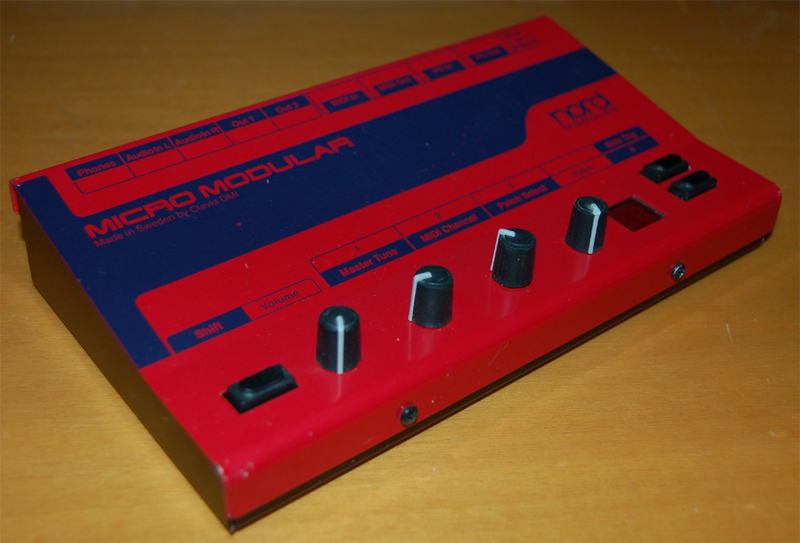 The box is little but solidly well built, there are a stereo output, stereo input, a couple of midi ports for midi control , a couple of midi ports to “pc control”, dedicated to the editor. On the front we have four knobs (volume+3 assignable controllers) and 3 buttons. The interface is quite minimalistic because the instrument is thought as a small/lighter version of the Nordmodular and the aim is to control it by sw and midi controllers. When you open your editor on the pc/mac it will show the current patch (the micromodular is a monotimbral instrument). This thing is like a little reaktor in a box with an awesome sound. It can do classic synth sounds with a little of modular twist as well as complex rhythmic morphing and glithching. The original editor from clavia is compatible till windows XP, but now a free java editor is available , NOMAD . Nomad let you edit the nordmodular serie with every system that supports java. The nordmodular serie is not dead, clavia will not add new modules, but the instrument is alive with nomad!